The Mastery System Event with Ken is a deep dive into developing all the tools you’ll need to jumpstart and enhance the Silva Method tools to take command of your life from the inside out. 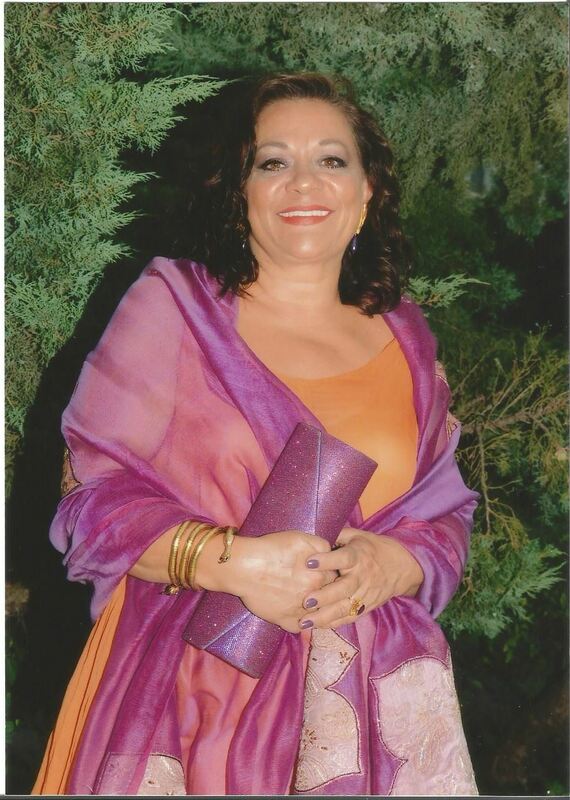 It is an advanced experience of awakening and accessing your higher self – the “Divine” – the “field” resulting in the enhancement of your emotional and spiritual intelligence. 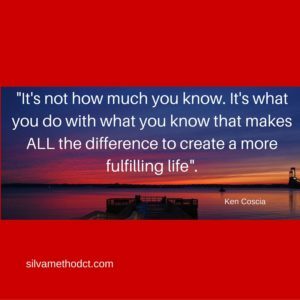 Silva Mastery teaches you the “WHAT and WHY” behind the foundation of the Silva Method so that you can better apply the How To Do It Applications. Two Full days on advanced psychology training, the latest in Neuroscience to understand what really drives your behavior shapes your thoughts and defines your identity and happiness. You’ll create new mental frameworks for success; overcome fear and doubt; become more confident; focus your intuition to create solutions and develop a greater capacity for joy, success, resilience, and love. Advanced dynamic meditation training for achieving your dreams faster. Advanced subjective education skill training to help you become more influential with your family, friends, coworkers, and everyone you hope to work with and serve. You’ll learn how to revitalize relationships, manage conflict, and lead with emotional integrity and power. You’ll become a role model ready to change the world. Ken’s Centering For Excellence For Greater Personal Achievements morning and evening dynamic meditations are a highlight. You will learn many advanced applications to optimize health, enrich relationships, boost self-esteem and performance, even increase prosperity during the Mastery System Seminar Event. The Mastery Seminar is acclaimed by tens of thousands of Silva Method practitioners all over the world, since 1984. 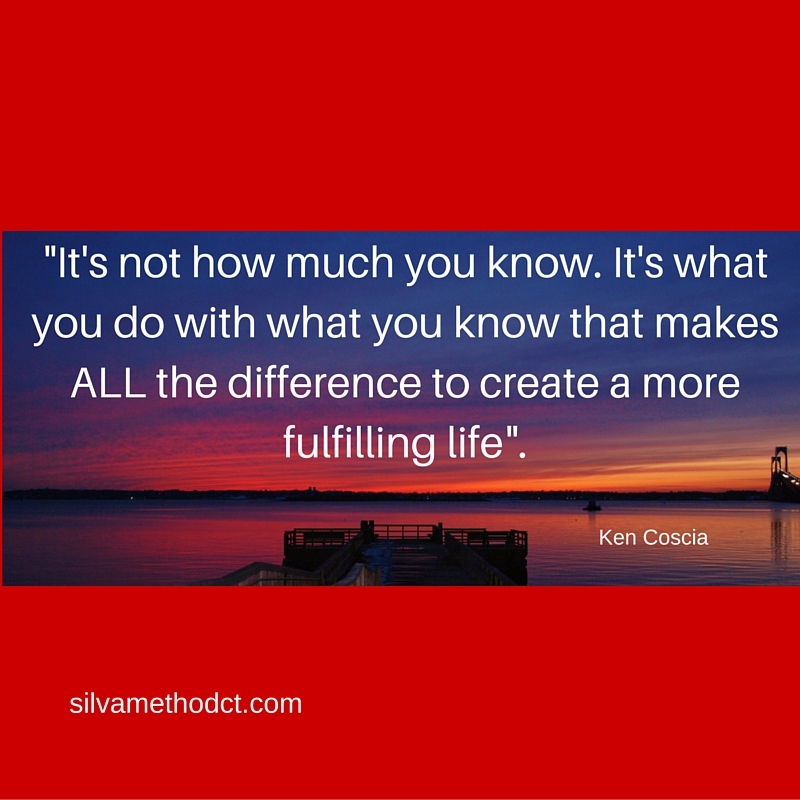 Ken will help you to gain a deeper understanding, connection with, and integration of Silva’s core principles. It is about you breaking through that which has been holding you back from being your very best. Do you remember, upon completing your initial Silva experience, how everything seemed to fall into place? You became so focused. 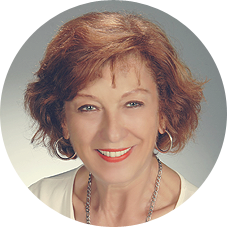 You, upon completion of the Basic Lecture Series, Silva Life and Intuition Systems and/or the home study programs, are eligible to participate in the Silva Mastery System advanced seminar designed to take you to the next level! Ken created this advanced program for you, the Silva practitioner who wants to enjoy more consistent lasting results. It is based on Ken’s practical experience with tens of thousands of Silva graduates in over 25 nations over a 47-year span. It is a profound experience with over 6 unique dynamic meditations and some of the latest neuroscientific research and Positive Psychology to help you make the shifts you’ll need to navigate these times with poise, confidence and a level of certainty to create your Life Vision. A sleeping room discount of $92 + tax is available on a first come first serve basis. Plus Free parking. You can call our Silva office at 860 674-1009 for assistance. If you are flying into Hartford, the closest airport is BDL (Bradley International). Courtesy transportation can be arranged on a first come first serve basis to and from the airport (BDL). Mastery: Creating lasting breakthroughs to integrate and master your Silva Skills. It’s not what you know or even how much you know that makes the difference. It is what you can do with what you know. You will develop new, proven techniques based on current research in Neuroscience and the emerging science of Energy Medicine to balance body, mind, and spirit to get it going again and keep it going. Wisdom: Awaken and focus your higher awareness to manifest your highest good and purpose. Self-awareness: The foundation for psychological health, well-being and balance. You will feel the difference as you mobilize healing emotions. Vision: Align your goals with your purpose and gain motivation to get what you really want. Learn and develop the skills to thrive in these times. – “Ken explained important matters in simple ways which made a lot of sense and were easy to apply. – It is obvious Ken lives what he teaches. – We liked the way Ken teaches, he was warm, patient, natural and wise. – His way of teaching about controversial subjects (such as time travel, quantum, mind-affecting matter ) was very nice, leaving nobody behind, respecting both believers and nonbelievers. – Exercises were well formed, very effective. I personally observed that this seminar brought a special shared experience intimacy to people and made a special Silva bond. They are now more open about their personal experiences and breakthroughs, sharing more in social media as well as sending personal messages to us. “The Mastery Series for me was a specialized training emphasizing the nuances and subtleties yet core alignment[s] that define and support specific exercises and techniques. How this relates to the Mastery Series for me, is that behind each of the Silva Techniques and processes, are those alignment[s]. By working backward [peeling back the layers of the onion] we begin at the beginning, we begin at that source point. The Mastery Series for me illustrated the essential requirement that the alignment[s] precede all other processes and techniques. This registration page is for Silva Method graduate alumni of the “live” BLS or Life & Intuition System ONLY. We cross check all registrants from this page with our member database. If you are not a graduate member and register we will deny your registration. For graduate members only! PLEASE do not register yourself for this event unless you are absolutely 100% sure and committed you will attend. See below for very strict no-show penalties. Please before you register make sure you can and want to be there. It is very costly for us to organize and manage events. Also, if we sell out and turn away a student and then you are a no show or cancel, we and the student lose out. There are no refunds given 3 weeks prior to the event. If you are unable to attend for any reason, you may have another Silva Method Graduate substitute for your participation in the program. Call the Silva Method of Connecticut office (860 674-1009) at least 7 days prior to the event to transfer your enrollment. A $75 fee will apply. Previously transferred tickets are not eligible. If you are unable to attend and do not wish to substitute, contact us. We will convert your enrollment to a non-refundable voucher which must be used within one year from your original event date. Some restrictions may apply. >Unable to make one of these dates. You can still enjoy some of the benefits from the transformational experiences in Mastery with Ken. > Ken’s World Acclaimed Dynamic Meditations – Guided Relaxation & Focusing Exercises Are Now Available Digitally. Plus You Get Bonus Video Tutorials For Each. You will, during this workshop, learn to distinguish the difference between wishful thinking, fear-based thinking, and intuition that you can rely on. You will also develop 12 focusing principles to awaken, refine and develop your inner wisdom along with a Self Awareness exercise to gain insight. You will, as a result, gain confidence to act sensibly on your hunches, make more winning decisions, be “luckier” and balance your thinking for enhanced health. This Award Winning Program With Ken Is Now Available Online With Bonuses! is a fast-paced one day workshop that can dramatically improve your ability to breeze through books, reports, magazines, trade journals, emails (even technical and legal material) with both comprehension and recall. This program has been widely acclaimed throughout the U.S.A., Canada, Australia, Europe, and the Far East for its dynamic synthesis of some of the most innovative learning techniques – such as relaxed learning, creative visualization, and speed-reading. During the workshop, Ken will focus on the development of rapid comprehensive accelerated learning skills. How to remain focused, calm & productive under pressure! The ability to master your emotions is one of the most important keys to success in your business and personal life. Self-destructive emotions can be your own worst enemy. They spoil relationships, create stress, create health problems, reduce productivity, stall your career, destroy your family life and tear down your self-esteem. If you’ve got the courage to admit that the cost of unmanaged conflict and anger has been too high, we’ve got some answers for you. This one-day program presents an innovative, solution-driven approach to the inevitable problems that arise at work and at home. You will discover amazing, proven alternatives that you can harness in the most difficult or trying situations. IS YOUR BOTTOM LINE SLEEPING?! Here’s a question that can help you and your business. On a day-to-day basis, do you know the primary cause of lost productivity, job-related accidents, and higher medical claims? Here’s a clue. It’s not drugs or alcohol. It’s sleep deprivation and it’s probably costing you more than you know. If you’re nodding your head (hopefully only in agreement), here’s how you can revive your bottom line and improve your employees’ performance while adding quality time to their, as well as your own, personal lifestyle (a real win/win situation). Ken has developed a new training program called Sleep Like A Baby™. Its components are based on over 50 years of R&D and proven results from hundreds of thousands of international clients. In just 2 hours Ken can deliver to you, your associates, and/or employees a fully integrated program that includes relaxation and focusing techniques that will improve the quality of sleep and thus improve the quality of life in the workplace as well as at home. Whether it’s losing weight, regaining energy or simply creating a more youthful and vital life. Ken has created a specialized 3-hour program to help you reach the results you desire. Instead of just temporarily masking symptoms, this program identifies the specific challenges that have been holding you back and then provide you with the tools, and proven strategies to create the life you’re resolved to get! Why you might be sabotaging your own success. How you can easily, quickly, and painlessly rewire your subconscious to achieve what you want faster–much faster. How to create the habit of “doing what you know you ought to be doing because you feel like it”. “And STOP doing what you know you ought not to do because NOW it is not an issue”. Eliminate unwanted cravings. Break the impulsive/compulsive eating habit and reduce your consumption of sweets and fattening foods. How you can change your life to have more love, more money, more enjoyment, and a healthier, stronger, fitter body– in 90 days or less.